Recent years have witnessed a revival of public interest in the United States in psychedelics and entheogens, and the remarkable thing about this revival is that it has not been limited to the recreational context of Burning Man or to the representation of psychedelics as an entirely fringe hippie New Age thing. Instead we see articles about Silicon Valley’s best and brightest ingesting micro-doses of LSD to enhance creativity, wealthy professionals seeking out ayahuasca centers in the Amazon for alternative healing and spiritual insight, and FDA-approved clinical trials of MDMA for the treatment of veterans with Post Traumatic Stress Disorder (PTSD). It seems that in our current moment psychedelics are a nodal point for things that once seemed so at odds in American culture: the military-industrial complex with “one love” culture; psychiatry with psychotherapy; 1960s anti-establishment counter-culture with (information age) capitalism; war on drugs-era scheduled substances with clinical trials approved by the FDA. So I was intrigued when a friend sent me a link a few months ago to an Evolver Learning Lab webinar series entitled “Psychedelic Science and Spirituality: How To Apply What We’re Learning to Your Life.” What particularly intrigued me was the last part of the title, that it advertised itself as a practicum: “How to Apply What We’re Learning to Your Life.” I decided to register for the course. The Evolver Learning Lab is part of Evolver, an organization which describes itself on its website as “a consciousness lifestyle company and global hub for the transformational community.” Amongst other activities, it publishes an online newsletter, Reality Sandwich, and offers herbal news and products on its affiliated site, The Alchemist’s Kitchen. The Learning Lab offers live video lecture series on science-meets-alternative-healing topics ranging from “What Plants Can Teach You” to “Why Sound is the Medicine of the Future,” and participants have the opportunity to pose questions to the speakers as well as respond to comments and queries posted by other virtual attendees. For the course on psychedelic science and spirituality, Evolver partnered with MAPS, the Multidisciplinary Association for Psychedelic Studies. Founded in 1986, MAPS is a California-based non-profit dedicated to research and education in the fields of psychedelic and medical marijuana science, therapy, and spirituality. Over the past decade, it has focused its efforts on sponsoring clinical trials of MDMA-assisted psychotherapy for the treatment of PTSD; phase III trials are expected to begin next year and MAPS hopes the FDA will approve MDMA as a prescription medication by 2021. Our host for the webinar is Brad Burge, the director of communications at MAPS, and over the course of five sessions, he guides us through conversations with guest speakers Allan Badiner and Kokyo Henkel on psychedelics and Buddhism; former Marine Nicholas Blackston on his participation in a MAPS clinical trial of MDMA-assisted psychotherapy for veterans with PTSD; Sitaramaya Sita and former Marine Ryan LeCompte on the spiritual and therapeutic uses of ayahuasca; therapist Julane Andries and psychiatrist Donna Dryer on MDMA and psilocybin-assisted psychotherapy for terminally ill patients, and MAPS founder Rick Doblin and science writer Kevin Franciotti on ibogaine treatment for addiction. A quick glance at the speakers and topics listed above reveals something curious: with the exception of the first lecture on Buddhism, these are lectures about therapy and the treatment of anxiety, PTSD, and addiction. And yet the course is entitled “Psychedelic Science and Spirituality.” Why? What kind of spirituality is this? And what is the connection between healing and spirituality that we are invited to learn about here, and perhaps apply to our own lives? As I listen to the five sessions, something coherent starts to come into view. There is a repetition of terms and themes amongst the speakers: safety, set (preparation) and setting, love, trust, empathy, container, heart-opening, fear, shadow self, ego dissolution, resistance, wholeness, integration, nature, the transpersonal. How do these fit together? Since the 1950s, Western therapists (amongst them transpersonal psychologist Stanislav Grof and his students Annie and Michael Mithoefer) have been experimenting with combining psychotherapeutic techniques with the administration of psychedelics as medicines for the treatment of psychosomatic illnesses. When LSD, psilocybin, MDMA, and other psychedelics were banned, this work continued underground and is now being put to use in the FDA-authorized clinical trials. What has developed out of these decades of careful experimentation and observation is a method (or a map, as psychiatrist Donna Dryer put it) accompanied by a repertoire of ever-evolving techniques for the therapist-healer to guide the patient towards cultivating a different relationship to the self, to others, and to the world. In this way of thinking, PTSD, anxiety, depression, and addiction are not so much pathologies as they are manifestations of a psychic (spiritual) crisis. The psyche-soul finds itself trapped in a struggle with itself, cut off from parts of itself, and overtaken by fear. 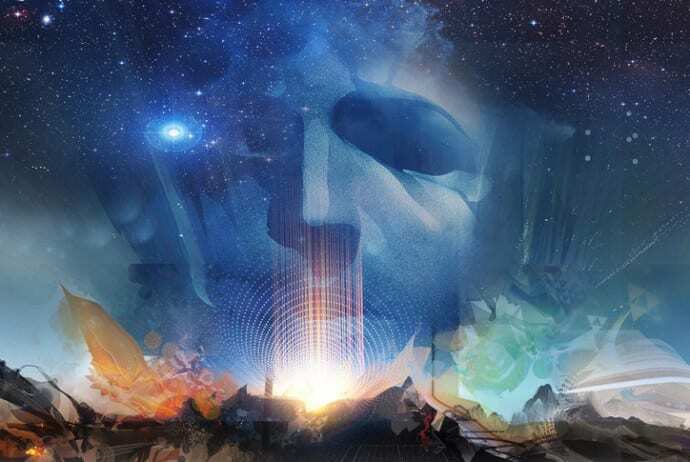 The goal of the psychedelic session, referred to as a “journey,” is for the psyche to work through these struggles and find its way out of fear and back to wholeness and well-being. And the goal of the method or map is to facilitate a felicitous journey. Set and setting are fundamental elements of this map. “Set” refers to the many techniques through which the therapist-healer and the patient prepare together for the journey. These techniques (fasting, setting an intention, bonding with the therapist) vary depending on the medicine (MDMA, psilocybin, ayahuasca) as well as the context, or setting — a clinical trial session conducted indoors with a blindfolded patient and a team of one male and one female psychotherapist, for example, versus an outdoor ayahuasca ceremony in the Amazon with a shaman and many shaman assistants’ and patients in attendance. But despite these variations the purpose of carefully attending to the set and setting remains the same: for the patient to feel, when the journey begins, that she is safe, comfortable, and trusts those around her to care for her during the experience. Another important element of the map is that the healing process is “non-directive”: the therapist or healer empathetically supports (referred to as “holding” and “containing”) the patient through whatever takes place during the journey but refrains from directing the experience. In this way, as Sitaramaya Sita describes it in the conversation on ayahuasca, the patient learns to attend to and heal himself, and in the process of doing this, a kind of alchemy occurs: the pain, fear, and suffering of PTSD, depression, anxiety and addiction ostensibly become the very stuff of healing and transformation. But what is the role of the medicine, perhaps even its agency, in this alchemy? One of the complicated things about using psychedelics as medication is the unpredictable nature of many elements of the experience. Set and setting form a “container” for the journey, but they cannot determine where it goes, and they are so carefully cultivated in order to create a safe space for whatever happens. At one level, this unpredictability is also seen as integral to the experience: it is impossible to know in advance what will come up, and an important element of the work for the patient consists in observing how he reacts to whatever does come up. Nevertheless, predictable things do happen when taking these substances: heightened emotional states, heightened awareness of the breath, and heightened sensitivity to the body’s sensations. Patients being treated for end-of-life existential distress or PTSD with MDMA consistently report a feeling of expansion in the heart, intense empathy towards self and others and all living things, and the reliving of traumatic memories without fear. Those treated with the hallucinogens ayahuasca, LSD, ibogaine and psilocybin recount mystical experiences of love and oneness, encounters with demonic “shadow” selves, out-of-body experiences, dissolution of boundaries between self and world, and death or near-death experiences (sometimes beautiful and often terrifying). In these states of altered consciousness and intense bodily sensation, the patient becomes acutely aware of the psyche’s relationship with itself and with its others; he or she acquires a cosmic perspective, and in doing so the ego’s habitual boundaries are disturbed. And in these encounters – sometimes blissful and sometimes the scene of painful struggle – and in the presence of a loving and supportive and empathetic witness (the shaman or therapist), the patient can work to transfigure these relationships. But what exactly is the “work” the patient does during the journey itself? In the clinical trials, the patient lies on a bed, blindfolded, and listens to music. It doesn’t seem like there is much work to be done, except to passively take note of the internal hallucinations that waft by. I was puzzled by this until I spoke to Brad Burge, the host of the series, and I asked him what he himself had learned from these lectures. His answer was interesting: Namely, that so many of the conversations throughout the series were about the body. He reminds me of his conversation with the former Marine Nicholas Blackston, a participant in one of MAPS’ MDMA clinical trials for the treatment of PTSD, and how he describes in great detail how his body started to speak to him while on MDMA. Not in human language, but in its own language – groans and moans and aches and tremblings – and he at last could listen to it. Attuning himself to the path of his breath, he followed it as it led him to one place after another in the body where he was holding painful memories and experiences; breathing into them, he could release them. Then I start to understand. This is a “spirituality” and a spiritual practice that is not so much oriented towards belief or doctrine or even ultimate reality so much as it is about the body and its relationship to others and to the world. Psychedelic means “mind-manifesting,” but this is a method whose techniques for healing and spiritual growth are actually oriented towards the body: its safety, its sensations, its “language,” its breath, its health and well-being, and…its mortality. Fear of death, near-death and out-of-body experiences, ego dissolution – these themes repeat throughout the series. And it is these conversations about mortality and the existential duress of mortality that help me to understand what role the visuals — be they external hallucinations or internal dream-like visualizations – might play in the healing, as well as the connection between the body and the visuals. Psychedelics and entheogens tend to induce intense feelings and visualizations of the “transpersonal” in those that take them: the boundaries of the ego-centered self contract and expand, sometimes to the point of dissolution, and there is a simultaneous sensation that you are both in your body and yet also outside of it, part of something larger or greater than yourself. Whether this is experienced as the terror of coming too close to death or as a blissful feeling of love and oneness with all of creation, something happens in this proximity to death, in the psyche-soul’s work of expansion and contraction. By the end of the journey there are shifts in perception – towards one’s self, towards others, and towards the world – and almost always these shifts in perception are accompanied by a greater sense of empathy, of wholeness and connectedness to self and to others. A good example of this is illustrated in Rick Doblin’s recounting of his day-long experience suffering miserably on the emetic ibogaine. He wanted to embrace death in order to gain enlightenment and more deeply appreciate life. And he found he couldn’t do it, he couldn’t let go…and then he started criticizing himself. He would cough, vomit, get close, but he just couldn’t let go. This pattern repeated itself hour after miserable hour. Then an image came: there he was, crucified on the cross of self-perfectionism. And then he felt something he calls “transcendence by exhaustion,” and after this vision, the rest of his night was blissful. After this experience, there was a life-changing transformation in him and his relationship to perfectionism and self-criticism: he came to recognize that the self-critical part was necessary, but with less judgment, and now he has a gentler attitude towards himself. And this is the final element of the “map”: integration. This concept refers not just to shifts in meaning-making, but, as Brad points out to me, practical, everyday shifts in the post-journey ways we relate to ourselves and to others. It is about, as Rick’s story illustrates, the reconciliation of contradictory or conflicting aspects of the psyche, and the cultivation of a more empathetic way of being in the world. But can this method of using psychedelics as a kind of “spiritual exercise” be applied to or integrated within historical religious traditions? Buddhism poses an interesting case study and is the subject of the first lecture in the series. On the one hand, many famous practitioners of Buddhism in the United States also promoted psychedelics (Allen Ginsburg, Jack Kerouac, Alan Watts, Ram Doss), as Allan Badiner, editor of Zig Zag Zen, a book about the relationship between psychedelics and Buddhism, points out. And yet historically, those following the Buddha’s teachings refrain from ingesting conscious-altering substances (such as alcohol). They doubt the validity of a spiritual or enlightenment experience that has been induced by a drug, rather than years of meditation. On the other hand, as Kokyo Henkel suggests in the webinar discussion, perhaps for a psychedelic experience to truly be meaningfully integrated into someone’s life, he or she needs a tradition: a community and a guide and set of practices and teachings…and Buddhism has been that tradition for many who have experimented with psychedelics in modern America. Psychedelics and other drugs have, of course, long been used in the rituals and sacraments of a variety of religious traditions, and the extent to which their uses for religious purposes are protected under the First Amendment has been debated in numerous court cases (most famously Employment Division of Oregon v. Smith). And the relationship between altered chemical states and religious experience has been a topic of continued interest among scholars of religion, most notably William James, but also more recently amongst a new generation of researchers seeking to bring neuroscientific insights to the study of religion. As the debate over the legality and the social, spiritual, and economic value of psychedelics and entheogens intensifies in the coming years, the use of psychedelics as therapeutics – of body and psyche, and as way of life – will no doubt also deepen our understanding of what the practice of religion and spirituality can be for us in the modern world. For an interesting account of a Muslim-American’s explorations of psychedelics, see also Michael Muhammad Knight’s book Tripping with Allah. Patricia Kubala is a Ph.D. Candidate in the Department of Anthropology, U.C. Berkeley. She writes about religion and cultural production in modern Egypt.